Is Trent Reznor the Man With The Oscar Tattoo? The Girl With The Dragon Tatttoo. Has there been a more eagerly anticipated movie in recent years? Stieg Larsson's literary trilogy has sold over 50 million copies worldwide - that's beyond blockbuster in any measure - so the first cinematic installment of the series is, as you would imagine, the stuff of pre-sold dreams. 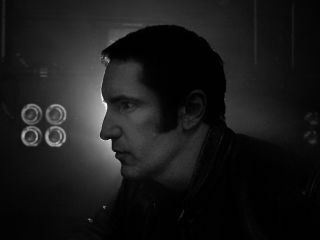 Part of any great movie is the music, and in David Fincher's adaptation we have Trent Reznor, on break from Nine Inch Nails, collaborating with his longtime partner Atticus Ross. You can check out a bit of their score in the video above. Reznor and Ross won Oscars for their work on Fincher's last film, The Social Network, so don't be surprised if lightning strikes twice. And in case you didn't catch it earlier, listen to more of the 'Dragon Tattoo' score in the video below, in which Reznor and Ross team up with Karen O of the Yeah Yeah Yeah's for a reworking of Led Zeppelin's Immigrant Song.